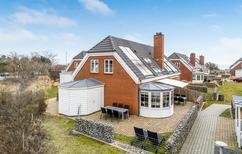 A holiday house on Rømø costs on average USD 426 in the cheap travel period and USD 1,099 in the peak season per week. These details are of course in relation to the house and not per person as well as includes the obligatory additional charges. Rømø is an island off the west coast of Jutland in Denmark. Located in the Wadden Sea, which is known for its low tides, mudflat hiking and variety of flora and fauna, the island is characterized by long beaches with sand dunes. 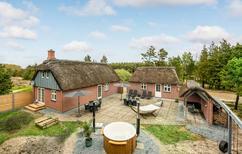 The area is perfect for wind, water sports and scenically located holiday rentals. Rømø hosts several festivals annually, most famously the Kite Festival. 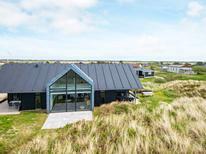 A vacation in a holiday home on Rømø lets visitors take advantage of all that Rømø has to offer, from the comfort of holiday houses. 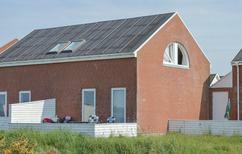 It's easy to book holiday houses on Rømø, with many options to rent. Along Romo's eastern coast one can stay in the charming coastal towns of Kongsmark or Haveneby, which feature many holiday apartments. The wide beaches and constant breeze make Rømø ideal for wind and water sports. In the warm summer months windsurfing and sailing dominate the coast. Visitors can spend a day out in the water before returning to a relaxing evening in their holiday apartments. For those who prefer to stay on the beach, kite buggies are popular. The hard packed sand of the beaches and the consistent winds mean that the buggies can go quite fast, making it one of Rømø's most popular sports. After a day out on the beach, visitors will appreciate coming back to the comforts of holiday homes. Rømø hosts several festivals, the most popular of which is the Kite Festival, held every September. During the Kite Festival, also called the Draganfestival, the beaches are full with people flying brightly coloured kites. The hundreds of kites fill the sky during the festival, providing visitors with a beautiful sight. The festival is a highlight on a vacation in Rømø's holiday homes.